You might notice that you are missing your Facebook comments once you switch to HTTPS from serving your site initially on HTTP. The problem is with Facebook not linking the old URLs with the new ones, which is why you might have to do some additional work in order to have your comments back. It’s important to notice that you’ll still have your Facebook comments form and you might even have some new comments there from after you switched to using SSL, but the old ones from before that would be gone. Not irreversibly, though. See if your dashboard breaks. It did on one of my sites due to some weird environment edge case. Oh, it’s usually the same problem with Facebook likes, so don’t worry that much if all of a sudden you lost all your Facebook like stats on your like buttons in the site. Same solution should fix this too. A friend of mine sent a list of resources to a client of mine and CC’ed me in the conversation. I do find these resources really helpful, which is why I decided to put them here. We are not affiliated to any of the sources. message. The theme is News Cherry by Bdaia, found on ThemeForest. and set it to false. It’s a good setting to be enabled, so News Cherry is to be blamed for forcing you to lower your guard. MainWp Sucuri is really easy to use. 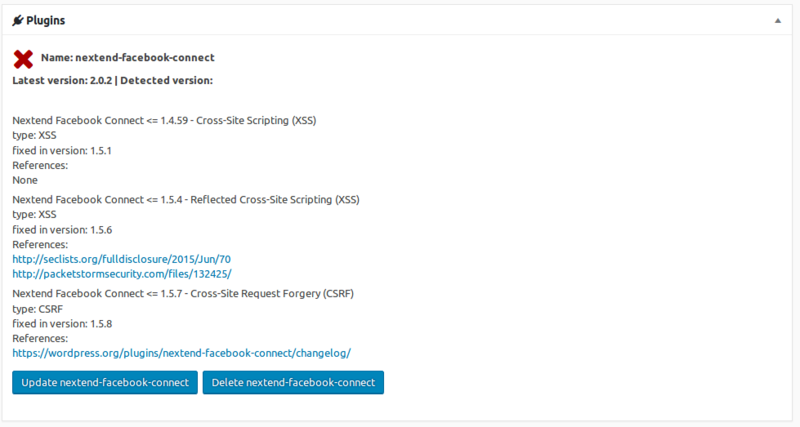 It adds SECURITY SCAN tab to each site’s Dashboard. The scan results tells you also if there are some other issues like directory browsing, accessible readme.html etc. It scans for things, attackers check in the fingerprinting stage of an attack and helps you hide them. In combination with MainWP Vulnerability Checker and MainWP WordFence it provides you enough information to keep you sites secure and protect them from low level (script kiddie) attackers. This extension is really good, but it has some problems that need to be fixed. One of the is the false positives. If the scan find readme.html file in the root directory, Sucuri flags it as an issue even if the file is not accessibe (returns 403 Forbidden). Similar thing is happening with the directory browsing results. 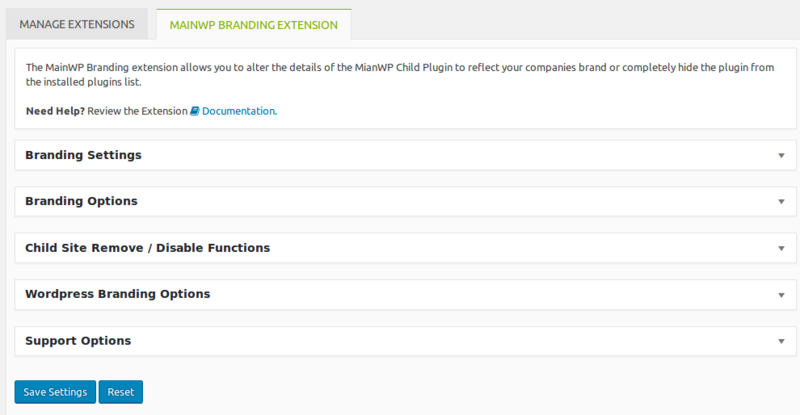 MainWP Branding extensions allows you to brand your child plugin. You can modify the way MainWp Child plugin and make it look like your company’s. Change the name, author, description etc of the MianWP Child plugin so it looks like your own.